We provide audiological and hearing aid services for adult, adolescent, and pediatric patients. Your audiologist will examine your ears with an otoscope to check for excessive wax and other problems. If we find something of concern, we may use a video otoscope which is connected to a TV or computer screen, to show you the affected area. Of course we will recommend you see an otolaryngologist (physician that specializes in matters of the ears, nose, and throat) if warranted. Pure tone audiometry is conducted in a soundproof room. Your audiologist will use ear phones, loudspeakers, and a bone conduction device placed behind your ear to deliver the testing signal. You will be asked to push a button each time you hear the sound signal. The tones we use for the testing are the same tones that make up speech information. The faintest sound you can hear is called your "threshold". We enter your thresholds on a graph called an audiogram. We compare the results obtained by earphones with the results obtained by bone conduction (the vibration device you wore behind your ear) to allow us to distinguish between two common forms of hearing impairment: one caused by some form of "mechanical" blockage (often correctable with medical treatment) and the other caused by a loss of inner ear function (usually permanent). Speech audiometry consists of two different tests. First, your audiologist will obtain your SRT. An SRT is your "speech reception threshold". It is used to determine the softest level at which you can hear and correctly repeat a series of two-syllable words. Second, we use a speech recognition test to evaluate how clearly you hear words at a comfortable volume. If words are heard loud enough but sound distorted, your "clarity score" will be low. This is important diagnostically, but also helps us determine how beneficial hearing aids may be for you. Your audiologist will use acoustic immitance testing to investigate the function of your middle ear system. The first test, called tympanometry, involves the presentation of a tone and some mild air pressure to each ear canal. It may detect specific middle ear problems like wax, fluid, or perforation of the eardrum. Acoustic reflex testing, another type of immitance testing, allows the audiologist to measure slight changes in the eardrum because of two muscles in the middle ear (stapedius and tensor tympani muscle) that automatically contract to loud sounds. Information obtained from immittance audiometry can offer insight into pathologies of the middle and inner ear. Otoacoustic emissions (OAEs) are inaudible sounds that come from the outer hairs cells of the cochlea (inner ear) in response to stimulation. Your audiologist places a small probe into your ear canal to measure the sound that is produced by the cochlea. Individuals with normal hearing will have a measurement is in the normal range. Individuals with hearing loss may have responses outside of the normal range, or no responses at all. Your audiologist will interpret the results and explain them to you. The test is painless, and can take as little as five minutes. Children are tested a bit differently. We take special care to ensure that our pediatric patients feel comfortable and relaxed throughout their visit. Depending on their age, your child may be tested with earphones or through sound speakers. They may be asked to point to familiar pictures on a card or identify parts of their body (i.e. "show me your nose, show me your eyes" etc.). The audiologist may use play audiometry tasks (having your child drop a block in a box in response to the tone) or Visual Reinforcement Audiometry (VRA) to test your child's ability to localize and respond to the test signal. Our audiologists are known for their patience and expertise when it comes to working with children. At Huntington Hearing, we will take the time and answer your questions. Each patient is afforded the time necessary to have their results explained to them, to have these results related to real-life situations, and to allow for questions and discussion about their results. We also feel it is very important for family members and other loved ones to have a thorough understanding of your individual hearing deficit, so we may use tools like a "hearing loss simulator" to help a loved one truly "hear" the way you do, and in turn, understand your hearing problem better. It may even make them a little more patient with your hearing problem. Call us and schedule a visit to see how our "hearing loss simulator" can help. We have been providing hearing conservation services to businesses in the greater Long Island region for over 40 years. To protect your company's interests and those of your employees, testing is carried out by our experienced New York State licensed audiologists in accordance with OSHA requirements. We use sound-treated test booths and calibrated audiometers to conduct testing at your location or at our Huntington facility. We provide detailed reports for your company and it's employees. At Huntington Hearing, we are particularly concerned about helping you protect your hearing. We have partnered with Westone, a leading manufacturer in the industry, to provide you with a variety of choices to protect your hearing in noisy environments. We offer hearing protection products for work, shooting, motorcyclists, and even for doing jobs around the house like mowing the lawn or using power tools. We offer swim molds by Westone Laboratories. Custom swim molds are designed to keep the ears dry during bathing and swimming. They require an impression of the ear so they can be made for a perfect fit and are available in a wide variety of color combinations. 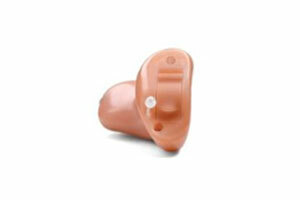 At Huntington Hearing we have been providing musician's with custom made hearing protection for years. 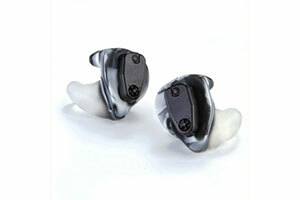 We offer Westone ES49 plugs for the performing musician or concert-goer. The flat attenuation characteristics allow the music to be heard accurately but at a safer volume. 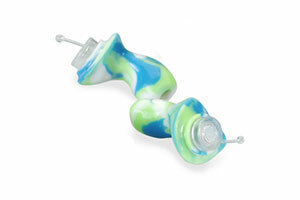 We can upgrade virtually any stock ear bud with Westone's iCustoms brand earpieces. These custom molds couple with iPod ear buds and most other brands to reduce distracting external noise and provide better sound. The custom fit ensures your iCustoms earpieces stay in place while walking, jogging, or riding.